Sichuan is one of the major industrial centers of China. In addition to heavy industries such as coal, energy, iron and steel, the province has also established a light industrial sector comprising building materials, wood processing, food and silk processing. Sichuan, in China’s western hinterland, covers most of the Sichuan Basin. Sichuan covers a vast area of 485,000 square km, accounting for 5.1 percent of China's total area. Sichuan can be divided into two major topographical parts, the Sichuan Basin and the Western Sichuan Plateau. Generally speaking, the western part is plateaus and mountainous regions some 4,000 meters above sea level while the east features the basin and hilly land with an elevation between 1,000 and 3,000 meters. 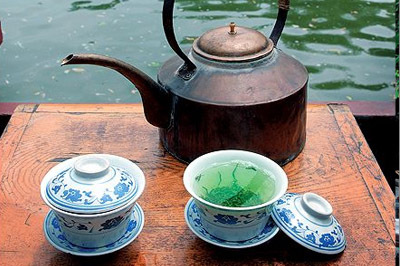 Sichuan has more than 1,300 rivers, practically all in the Yangtze River system. The Yangtze River has five major tributaries in Sichuan -- the Yalong, Minjiang, Tuojiang, Jialing and Qianjiang. Many of the rivers in Sichuan flow rapidly between hills, mountains and gorges, making it the number one province in hydroelectric power potentials. The Sichuan Basin, covering an area of 165,000 square km, is one of the four largest in the country. The elevation within the basin is between 200 and 750 meters, sloping down from north to south. It is also called the Purple Basin or Red Basin, is one of the larger basins in China. Rising 1,000-3,000 meters above sea level, it is enclosed on four sides by the Daliang, Qionglai, Minshan, Daba and Wushan mountains and the Yunnan-Guizhou Plateau. It consists of three parts: the parallel valleylands in the east, the hilly areas in the middle and the Chengdu Plain in the west. Formed by alluvial deposits from the Minjiang and its tributaries, the Chengdu Plain is the largest in southwest China and the major farming area in Sichuan. With a warm climate, fertile soil and the Dujiangyan irrigation system, it is also one of the country's most affluent regions. The scenic, majestic Emei Mountain on its southwestern fringe is one of the best-known mountains in China. It exceeds 3,000 meters in elevation in most parts, consists of numerous canyons ranged vertically side by side and rows upon rows of snow mountains. The northern section of it is part of the main body of the Qinghai-Tibet Plateau and the southern section is the northern stem of the Hengduan Mountains. 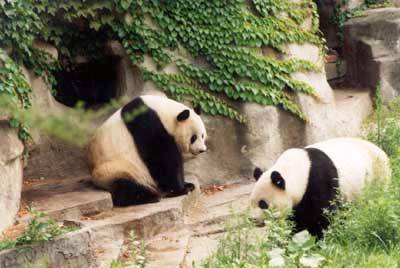 Chengdu Research Base of Giant Panda Breeding is situated on the Axe Hill 10 kilometers from the north suburb of Chengdu City. It covers an area of 600 acres. Mt. 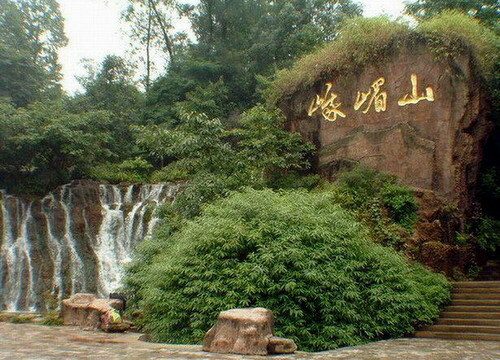 Emei boasts unique natural and cultural charms, such as the Wannian Temple, which has been designated a state-level protected site by the State Council. 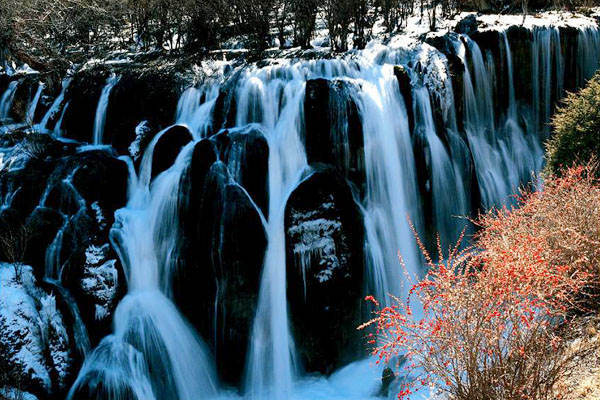 It is said that the Jiuzhaigou Valley( Jiuzhai means nine villages)was named after the nine villages contained in the vast nature reserve.